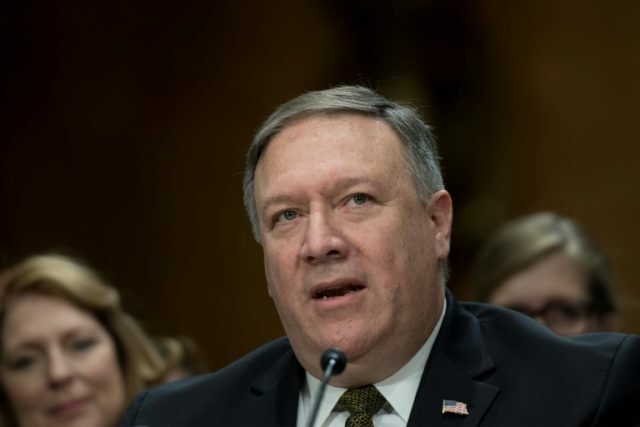 Washington (United States) (AFP) – President Donald Trump’s pick to become Washington’s top diplomat pledged Thursday to work with US allies to strengthen the Iran deal and played down fears he is bent on regime change in North Korea. Mike Pompeo, the outgoing director of the Central Intelligence Agency, disavowed his reputation as a “war hawk” and an anti-Muslim hardliner as he sought to woo support from senators to become the next US secretary of state. He told members of the Senate Foreign Relations Committee that he would restore “swagger” to a State Department left in tatters by Rex Tillerson, and strengthen relations with US partners left ragged after the tumultuous first year of President Donald Trump’s administration. Pompeo, a former congressman, emphasized his close relationship with Trump — something Tillerson never had — and his time at the CIA, which he said had given him a strong appreciation for the necessity to work closely with foreign partners. “All of this — listening, leveraging differences, unleashing talent, teamwork — will become the fabric of a State Department culture that finds its swagger once again,” he said. With a series of tough foreign policy challenges looming, Trump has made the 54-year-old West Point and Harvard Law graduate a key aide for his second year in office, along with fellow arch-conservative John Bolton, who joined the White House this week as the president’s national security advisor. In his CIA post, Pompeo has already taken the lead in arranging a potentially breakthrough summit with North Korea’s Kim Jong Un on denuclearization. With a history of provocative statements against Iran, Pompeo’s nomination was seen as a sign that Trump’s administration intends to rip up the accord. But on Thursday, he strove to emphasize that he would work to “fix” the deal with skeptical European allies by a May 12 deadline. Pompeo — who once hinted he would not be bothered if North Korea’s Kim were assassinated — was also asked whether he favors US military action to overthrow the nuclear weapon-armed regime in Pyongyang. “I’m not advocating for regime change,” he stressed. He was also quizzed on former statements , when he was a congressman from Kansas, that have led him to be cast as anti-Muslim and anti-gay.